I can’t believe that it’s almost the end of October. 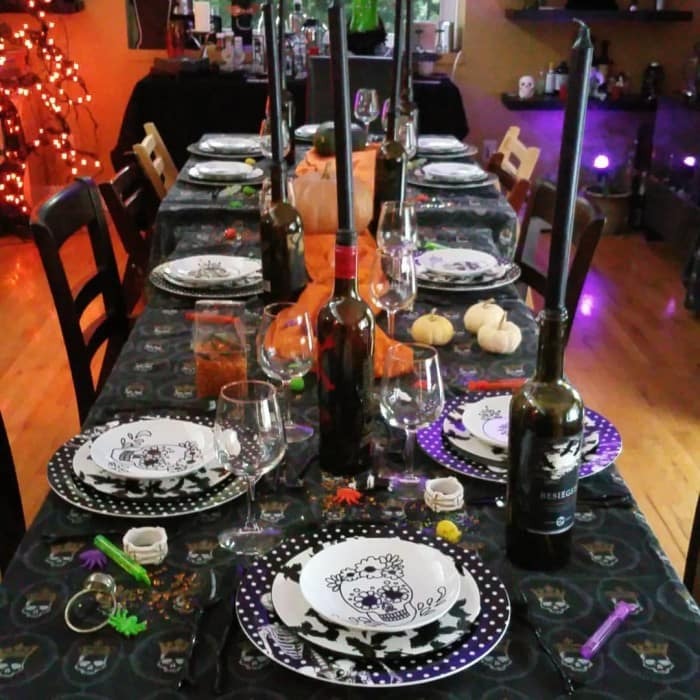 I have so much to do for my Gothic dinner party! This year it’s a Harry Potter theme, so we already have candles and keys dangling from the ceiling. We’re also getting the living room decorated like the forbidden forest. Since I talk about it all the time, I thought it would be nice to give you a glimpse into my favorite party of the year. All of the photos are from phones and in particularly difficult lighting. But I think it still will make you feel like you were there. 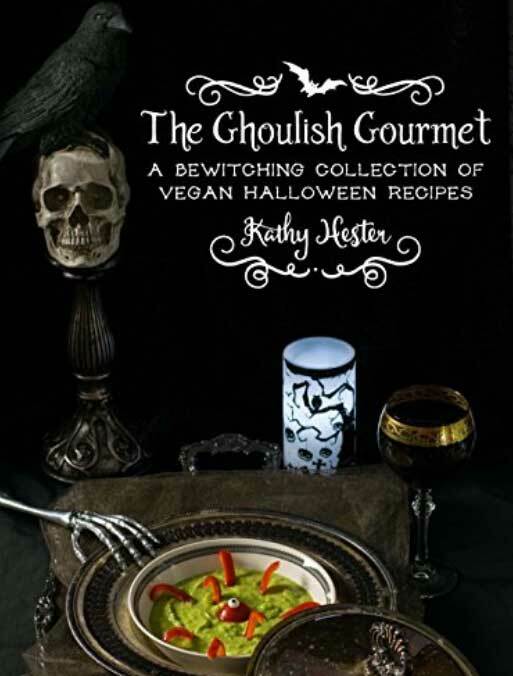 Don’t forget I have a vegan Halloween e-cookbook called The Ghoulish Gourmet that you can get at Amazon. It’s $5.99 to buy, but if you have Kindle Unlimited you can read it for free! Below are a few Instagram pics of the party from my friends and guests, Jenni Field of Pastry Chef Online and Stephaine Manley of CopyKat Recipes. Since I’m cooking and serving, I never get the chance to take photos as the party is going on. The uncredited photos are from Cheryl Purser, my picky eater. Stephanie is the best house guest ever and she helped us so much with the party set-up. 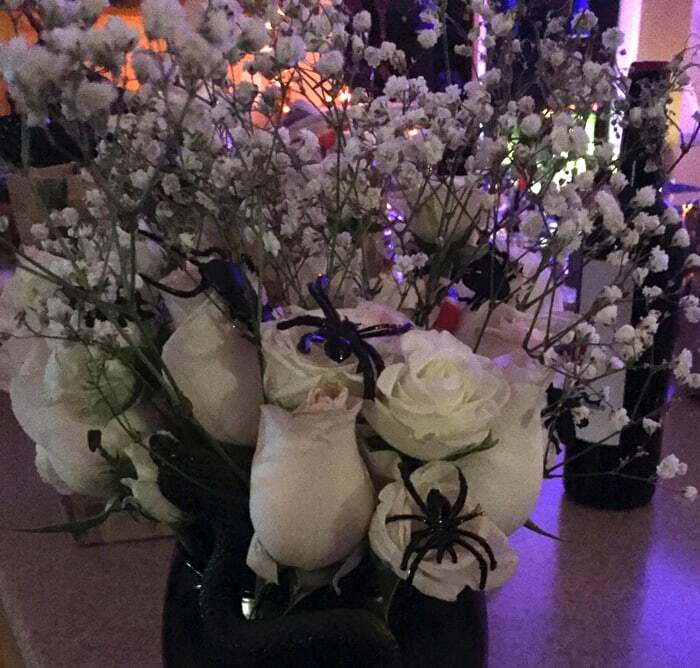 Jessica played Martha Stewart and glued plastic snakes, spiders and bugs to these beautiful fresh roses. It’s been a wonderful reminder of the party whenever I look at them. Thanks again Jessica! Cheryl is trying to get everyone to get seated for dinner. Jessica, Bruce and Faith win the prize for listening to directions. Notice the looks from Faith and Cheryl at the people that are in between them and dinner. 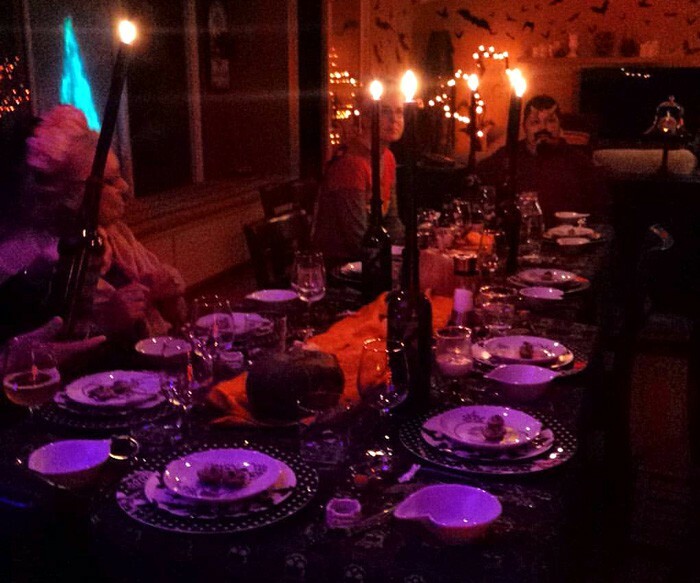 Dressed up guests eating my green potato soup. More guests and more costumes. I’m somewhere in the kitchen, of course! At least everyone was having a good time. 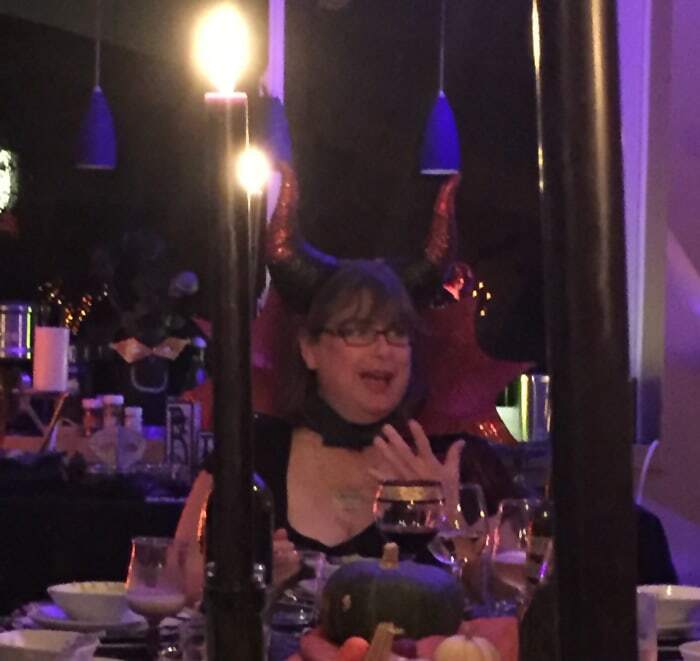 This photo is blurry, but at least you get to see me in my evil queen costume. I got a great necklace that day with glow in the dark beads, but that doesn’t show up well here. 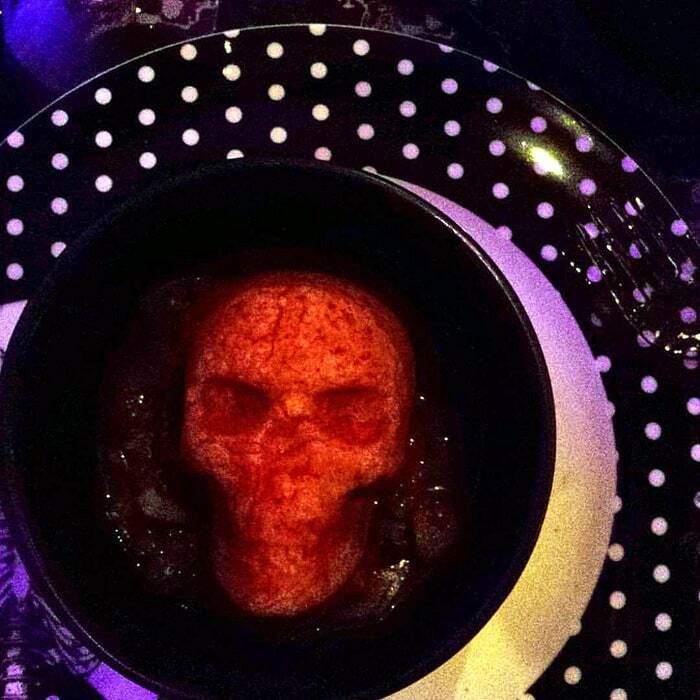 Why yes, those are whole wheat skull biscuits dusted in paprika. Underneath is a hearty mushroom butternut squash stew. This was my favorite savory dish from the party. 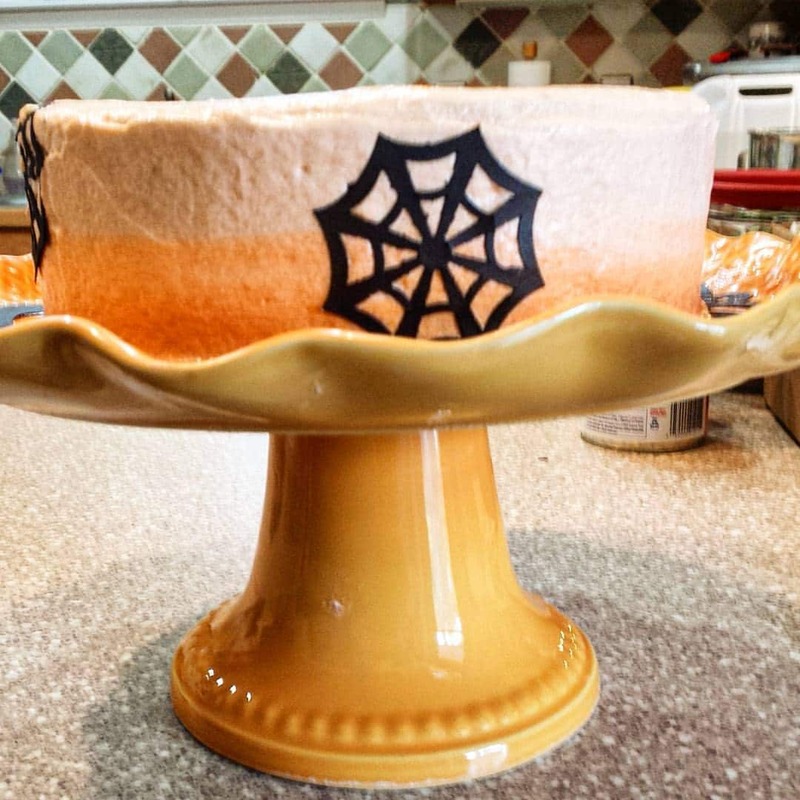 Jenni Field was kind (and brave) enough to veganize her Christmas cake. It’s on her blog as a Christmas cake and you can make it anytime of the year. Until then you can just imagine the moistest chocolate cake vegan or not! The icing is not only orange in color but flavor too. It was a huge treat and it’s great for an after party breakfast. It’s always good to have an easy recipe like this One Pot Veggie Vodka Sauce. This recipe is from my book, The Easy Vegan Cookbook, and I think you’ll really enjoy it. We made it the day after the party while the dishwasher was running. 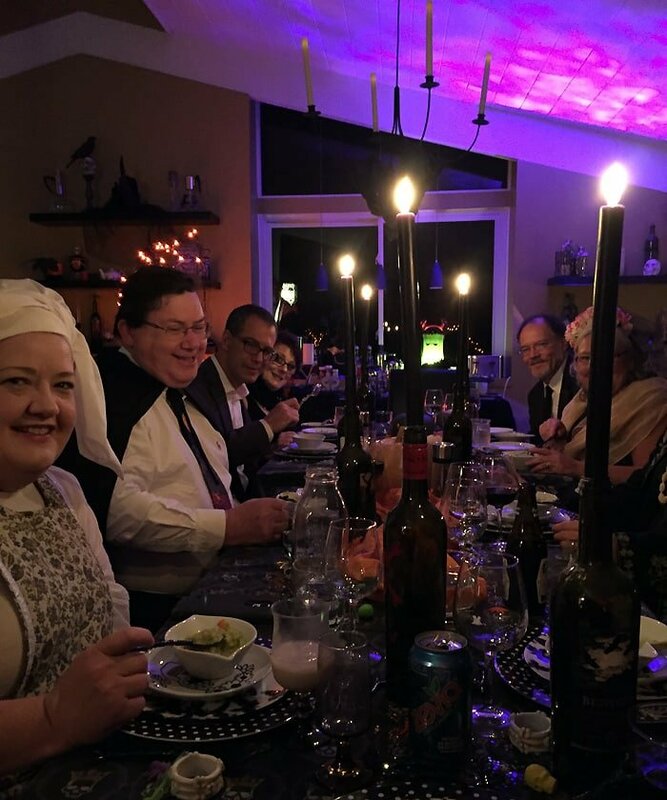 Fun fact, it took 5 dishwasher loads to clean up after 10 people at the Gothic Dinner Party! Feel free to vary the veggies, but make sure to time putting them in where they won’t overcook. If you aren’t a fan of eggplant, the easiest substitute is to use extra mushrooms in its place. This has all the ease you expect from a one-pot meal. 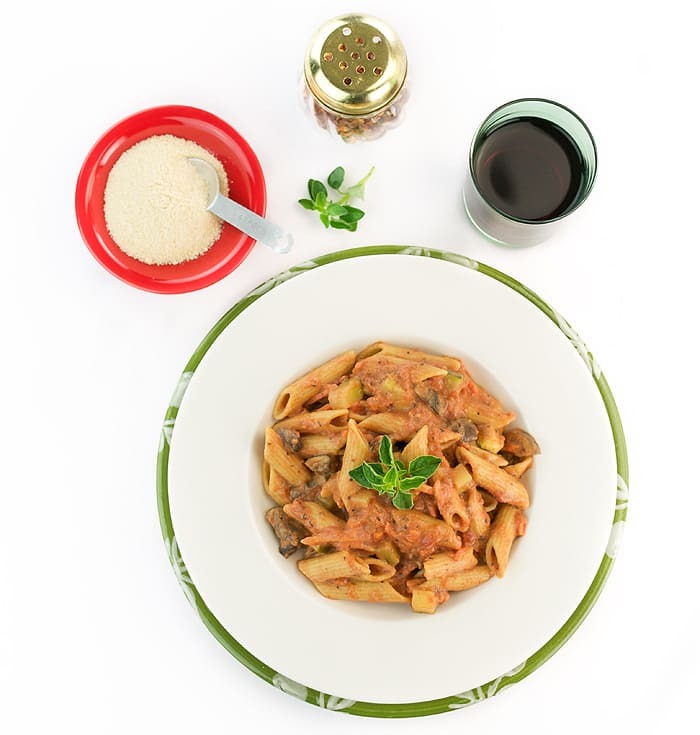 You cook the pasta right in the creamy tomato sauce, which has the barest hint of vodka and mushrooms, carrots and eggplant. What wonderful pics! Looks like a great time! 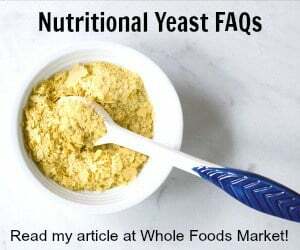 Yummers on the recipe, too! LOVE the decor so creative!!! I am definitely going to give this pasta dish a try. I have co-workers that are vegan! Leave it to me to be attracted to a recipe from a book that I already own. Just FYI I think the pasta measurement is off. Your party looks like it was awesome! Lol! Thank you for pointing that out. Somewhere along the way I deleted an very important 2! this sauce looks so delicious and creamy! you would never know that it’s vegan! Love one pot dishes!! This vodka sauce sounds delicious!! Love those creepy pictures. On this dish looks like real comfort food. Wow that party looked incredible! The pasta too – I love one-pot meals! You look awesome as the evil queen! I love vodka sauce, I have to give this a try! When I worked at an Italian restaurant, the Penne A La Vodka was my favorite recipe. This brings back so many memories. Your recipe looks so very delicious.